For many of us, our first encounter with medicine comes vicariously through a family member. In my middle-school years, my mother had a serious illness. I recall the anxiety I felt when she told me she needed “major surgery.” Recovering, she spent weeks in a hospital bed downstairs in our living room. A housekeeper came for a short time, caring for her wounds, dressing her, and cooking our meals. I remember needing to understand her sickness. I went with her to a follow-up visit, and the surgeon reviewed the x-rays with me, describing the changes on the post-op images. Such an incongruous scene: a graying old surgeon in a dark room pointing out spinous processes on a radiograph to a 12-year-old. I researched her illness and created a science fair presentation about it—my first foray into medicine. My mother recovered fully, and life normalized—but I was “wounded” in a way. Chiron (Kheiron), whose name is associated with the Greek word “kheirourgos” meaning “surgeon,” was the great centaur. Not just any centaur, but the original and archetypal Greek centaur. Looking at ancient urns upon which his image is depicted, he appears as a scholarly physician in full human form including human legs, except for the hindmost parts and rear legs of a horse protruding from his backside. He was the original god of medicine, a doctor on horseback, making his way to the sick and ailing with great speed. Chiron’s myth reveals he was wounded by poisoned arrows dipped in the Hydra’s blood. (We might liken it to a “needle-stick” injury.) Only, Chiron was immortal so he could not die, but lived with agonizing pain. In Zeus’s compassion, he flung Chiron into the night sky to become Centaurus, the constellation we know in the Southern expanse. One of Carl Jung’s archetypes is “the wounded healer,” typified by Chiron. Like the centaur, those in the healing profession bring to patient encounters our own traumas, injuries, diseases, and disorders—the endoscope through which we perceive our patients’ illnesses. How we grapple with our wounding, how we are transformed by it determines how we approach others’ suffering. Some of us experience our own physical illnesses, such as diabetes. Consider the compulsion and fastidiousness required for a child to manage her blood sugar—Chiron’s arrows pricking her skin daily. What perspective might she develop that will inform her patient care as a young doctor? How might she approach her patients differently based upon her experience with a chronic disease? These woundings, however, do not stop once we enter medical school, once we graduate, once we finish our training. Our personal connectedness is injured by our time on the job and our consuming focus to excel, to understand, and to “help others.” Arrows fly from without, and sometimes from within. We do not take time for ourselves, for those things that make life valuable: playing with our children, sitting with our partners over a glass of wine, enriching our souls, inspiring our consciences. We do not develop deep relationships that challenge us. We do not go to counseling—god forbid! That’s where we send our patients. We do not do what is required to deal with our darker passions that begin to assert themselves and rule over us—self-inflicted arrows we neglect. Our gluttony, lust, anger, covetousness, dysthymia, listlessness, vanity, and pride go unaddressed, unattended, and lead to a plummet—it is for good reason they are called “deadly sins.” We read about physicians who fall headlong and shake our heads and click our tongues. But they are us. We are more likely to self-medicate than our patients—we have the means and the resources to do so. We “don’t need anyone else.” Historically, Halsted and other physicians experimented with and were addicted to morphine, cocaine, and heroin—the Hydra’s blood on hollow arrows. Burnout and its resultant consequences are not a “modern” phenomenon. The arrows of burnout were apparent in William Osler’s correspondence from 1903, having achieved academic success and national notoriety after nearly 15 years at Johns Hopkins. His wife worried the stress of his life would lead to his breakdown. The offer of an appointment at Oxford gave him a needed escape from his life in Baltimore. Like Chiron, flung into the constellations to avoid the pain of his wounds, Osler sailed across the Atlantic—sometimes we must run from arrows that assail us. But, retreat should be the exception. As for a day-to-day maxim, Osler had a prescription for burnout: day-tight compartments. In 1913, having spent 9 years at Oxford, Osler was invited to address students at Yale. He gave a speech through the eyes of a physician wizened and reflective. After the sinking of the Titanic in 1912, 1 year prior, the press and media were abuzz with information about the hulls of ships having “water-tight compartments” that could prevent another such disaster. Moving from “water-tight” to “day-tight” compartments, what could he have meant? Similar to preventing water spilling from compartment to compartment as a ship lists, Osler instructed the students to prevent the cares, anxieties, and embarrassments of each day from pervading into the next. And in the morning, what you have to do. Most surely judged, make your accounts agree. Within this poem, we hear reverberations of confession of sins, practiced in most world religions, whether corporately or privately, to a shaman, a fellow congregant, or in private to a deity. The poem bids us to do so nightly, closing up the “day-tight compartments.” Additionally, it advises we plan for the following day—a tried and true method for avoiding the anxiety of tomorrow. 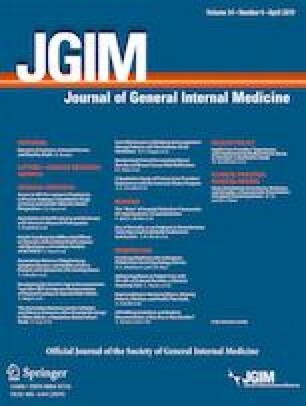 Did Osler provide us a potential remedy for the bitter arrow of burnout? Most of us cannot retreat across an ocean, but perhaps there is a sacrament here that could serve as a daily shield against it. Being steadfast in dealing with the remains of the day in such a way so as (1) not to ruminate on injuries we receive from others, but instead forgive and ask forgiveness and (2) not to worry about the responsibilities of tomorrow, but instead set goals—these sound a lot like the work of a person engaged in a 12-Step program, or in Cognitive Behavioral Therapy. Perchance it is essential that we … seek help. We must continue pursuing saner ways to practice medicine, and it is absolutely incumbent on our health systems, payers, regulators, and EMR vendors to remove the senseless mountains of forms and data entry that chip away at our equanimity. But concomitantly, we must support our colleagues and ourselves through prescriptions that relieve our vulnerability, our precarious relationships and our woundedness—a chronic disease we contracted before the onset of the malady called burnout. We must teach ourselves to keep day-tight compartments. The author wishes to thank Dr. Stewart Babbott for his generous critical review of the paper.